So you are in love with someone who lives in another country and want to bring him or her to the United States. Many questions can arise such as how do I bring them to America – should I marry them first and then bring them, or marry them after they arrive? The attorneys at Pastor and Deromemaj specialize in a wide range of areas, including marriage visas and can assist you in answering all your questions. To be eligible, you must be a U.S. citizen or a green card holder and be able to evidence your marriage through various means, such as a marriage license, wedding pictures, etc. The office of Pastor & Deromemaj has successfully helped families and individuals overcome immigration obstacles on their journey to building their new lives in the United States. 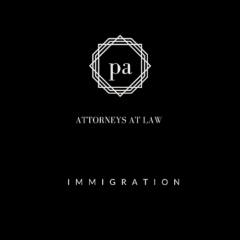 Call (248) 619-0065 today to schedule a consultation with an immigration attorney to determine your options. Or, contact us here. If you (or someone you know) is a citizen of the United States and you are engaged to marry someone who is not a citizen of the United States and who is currently residing outside of the United States, we can help you along your legal journey. As a citizen of the United States, you can file a petition on behalf of your fiancé who is currently residing abroad, with the United States Immigration and Citizenship Services (UCSIS). Our Michigan based immigration lawyers at the office of Pastor and Deromemaj can help you apply for, and obtain, a fiancé visa. We can continue to aid you and your fiancé throughout the legal obstacles you will face attempting to bring your non-citizen fiancé into the United States on a permanent basis and ultimately help you also receive your marriage visa. The first stipulation is that the two parties must be legally free to marry. There can be no ongoing marriages on the side of either party, either at home or abroad. If one party (or both parties) have been married previously, that is not a problem so long as that marriage is officially over due to the death of one party or through a legal divorce or annulment recognized by the law of the country in which the marriage took place. The next stipulation is that the couple must have met in person prior to seeking to obtain a fiancé visa and the two parties must have seen each other at least once within the last two years. This stipulation may be waived in the case of local customs or extreme hardship on the side of the citizen of the United States. The citizen of the United States must also apply to bring in the children of the non-citizen for all children under twenty one years of age. Once the petition has been approved, the party who is not a citizen of the United States will be able to obtain his or her fiancé visa at a United States embassy or consulate in their home country. This will enable that party to legally enter the United States in order to wed the party who is a citizen of the United States. They will have ninety days, following entry to the US, to marry or the fiancé visa will expire. They cannot leave the United States until after they have married or they will not be eligible to return under their fiancé visa. There can be no extension on the ninety day fiancé visa and prior to the couple becoming legally wed, the non-citizen will not have the rights of a citizen. Following the marriage of the two parties, the non-citizen may apply for a green card, which, if awarded, will give them Lawful Permanent Resident status. This status is required if they are to remain in the United States. For the first two years, the party who is not a citizen but rather a holder of the Lawful Permanent Resident status will receive only conditional residence status. If you live in Michigan and you or someone you know is looking to marry a person who is not a citizen of the United States, contact the office of Pastor & Deromemaj today and we can help you along your legal journey. We can help you obtain a fiancé visa and a marriage visa and work with you to make sure that all of your facts and paperwork are in order. Finding love is hard enough. We are here to help you keep it.